Un Pithivier Monsieur? Oui Oui Oui…. As foreign correspondent I have to search high and low for a pie that can be reviewed. I can’t just walk into my local Fuller pub and reel off a description of the house steak and kidney pie but this weekend I stumbled across a real beauty. Its not often you go to a top quality French restaurant and end up eating a fine incredibly tasty pie, but on a recent visit to the award winning Galvin Bistro on Baker Street I had the pleasure of doing just that. Galvin is regularly voted the best French restaurant in London and the prices for once don’t really reflect that. 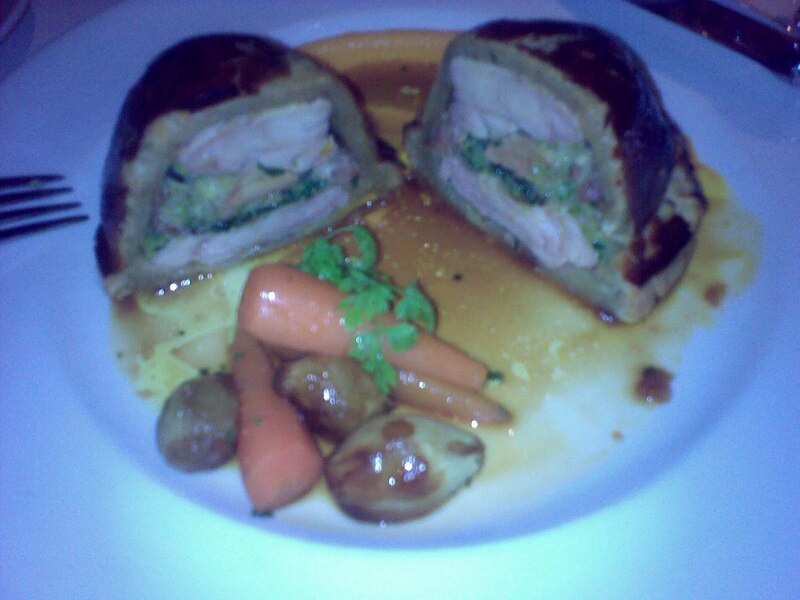 After opting for steak tartare starter over the dorset crab lasagna, I ordered a Pithivier of red leg partridge, foie gras, chantenay carrots with game jus and a side of the most delightfully smooth pomme puree. I have to confess when ordering I didn’t realise a Pithivier was effectively French for pie, but I wasn’t disappointed when the dish turned up and pastry was on show. It really was one of the best Pithivier’s I have had. The pastry was cooked to perfection, the partridge pink and succulent and the sauces and accompaniments were as fine as you might find in a top class restaurant in Paris. I didn’t see any Ale on the menu, but to be honest as I was not planning on having a pie night so didn’t wander far from the extensive red wine list. The starters are priced at £7-10 and mains at £13-19, and I would say is definitely value for money. A rich chocolate fondant capped off a memorable pie experience and one that I would have no hesitation in recommending.